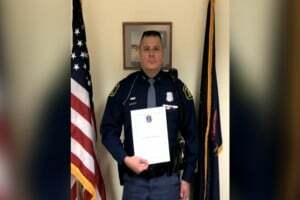 A Michigan State Police trooper is being recognized by the department for saving the life of a man who overdosed. And it’s not his first time getting the award. 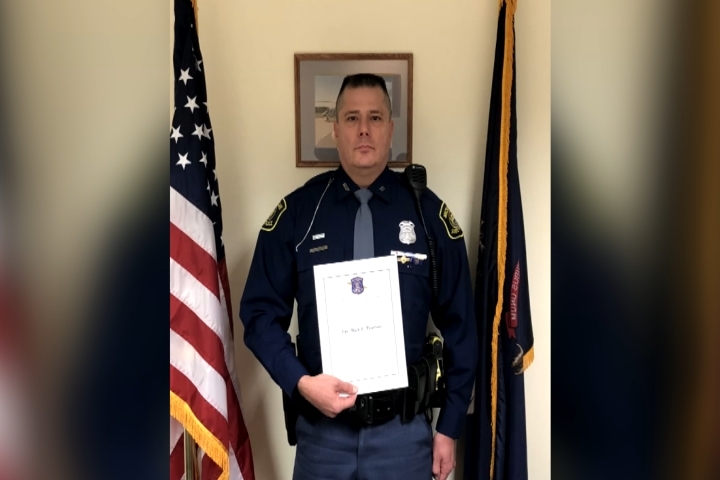 In June police say trooper Rick Pearson of the Cadillac post stopped to help a car parked on the side of M-115 in Wexford County. He found an unconscious man and recognized signs of an opioid overdose. Pearson gave the man medical help and Narcan, an overdose reversal drug. State police awarded him an official lifesaving award. It’s actually Pearson’s second time getting the award. The first time was in 2003 when he gave lifesaving first aid to a motorcyclist in a serious crash.